If you own a house that is damaged, dirty, ugly, or just outdated, there is no need to worry. There are ways you can sell your house without having to pay for all the required repairs. 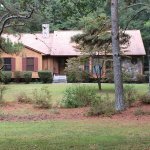 If you need to sell a damaged house in the Raleigh NC area, this article will help you save time and money on the sale of your home. In order to sell a damaged house in Raleigh NC, you’ll need to be able to find the right buyers. Many buyers are looking for a house that is “off the shelf” and is in move-in condition. The average homeowner does not have the vision to see the potential for a renovation. Buying a property that requires a lot of repairs can be very risky, and is best left to those with experience in estimating repair costs and dealing with contractors. Your best bet will likely be finding the right local investors who don’t mind taking on damaged property. 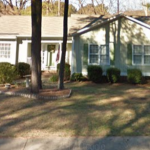 At Otranto Real Estate Co – Mike Buys Houses, we are very experienced in fixing up properties and are happy to help if you need to sell a damaged house in Raleigh NC. You can choose to put the house on the market in “as-is” condition, meaning you are telling the buyer that you will not be making any repairs or updates to the home. I would advise hiring a trusted local agent to assist you with the NC Residential Property Disclosure, and other relevant forms that are advisable when selling a house that needs repair to a consumer. The downside is many buyers want something “new and shiny” and don’t want to buy a home that is dated. This can lead to many showing of your home without any offers. Typically the fastest and easiest way to sell a damaged property is to go to a direct buyer. If you choose to sell to Otranto Real Estate Co – Mike Buys Houses, we will buy as-is, meaning you will make NO REPAIRS. This will save you thousands of dollars. Plus, we don’t ask you to clean, and you are welcome to discard any personal property you no longer want by leaving it in the house. We are able to close whenever you choose, making it a very smooth experience. How much cash can you afford to spend on improving the home? Remember you will have costs associated with moving, paying for another place to live, storage facilities, maintaining and staging the house you are selling. This can require a good amount of time, and will not come with any guarantees. If you spend a fortune fixing a damaged property in Raleigh NC, there is no guarantee you will get it back. Owning damaged property can be stressful. The repairs can be expensive and you can be held liable for any injuries that occur. If you are not able to make the needed repairs, it might be time to sell your damaged house. You don’t have to hire an agent. Learn more about selling your house as-is, so can be rid of your troublesome property once and for all!